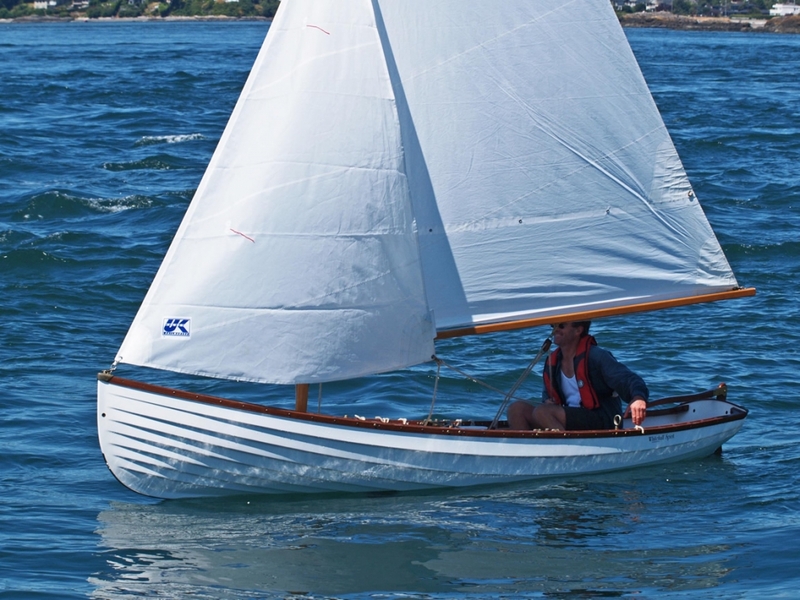 We fondly refer to the Westcoast 11’6” Sailing Rowboat as “The Adult Dinghy” because there’s room for one large adult seated comfortably in the aft area between the seats, and one or two more and perhaps a picnic basket forward of the mid-seat either side of the centerboard well. 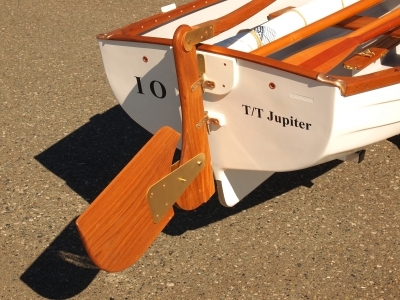 It handles crisply due to the large kick-up rudder and cast bronze centerboard, requiring only 6” inches of water to float with the centerboard and rudder fully raised up. 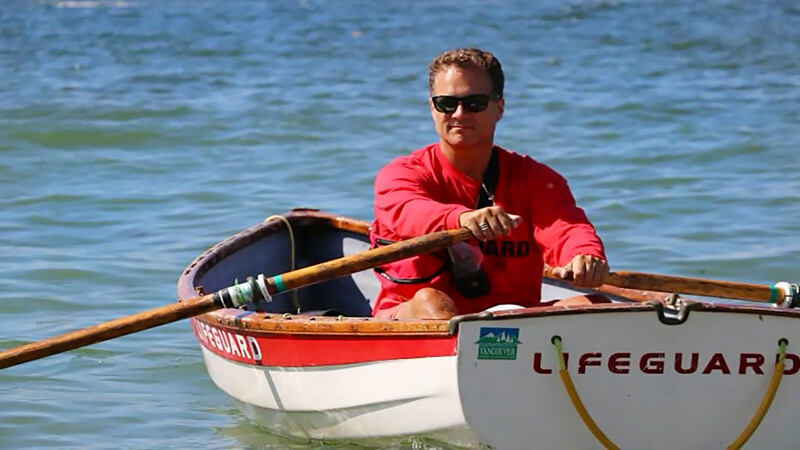 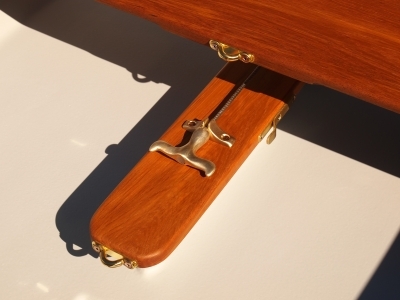 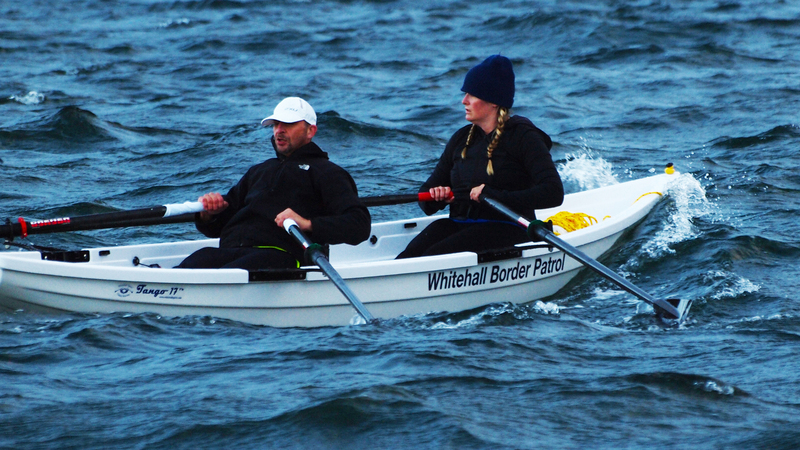 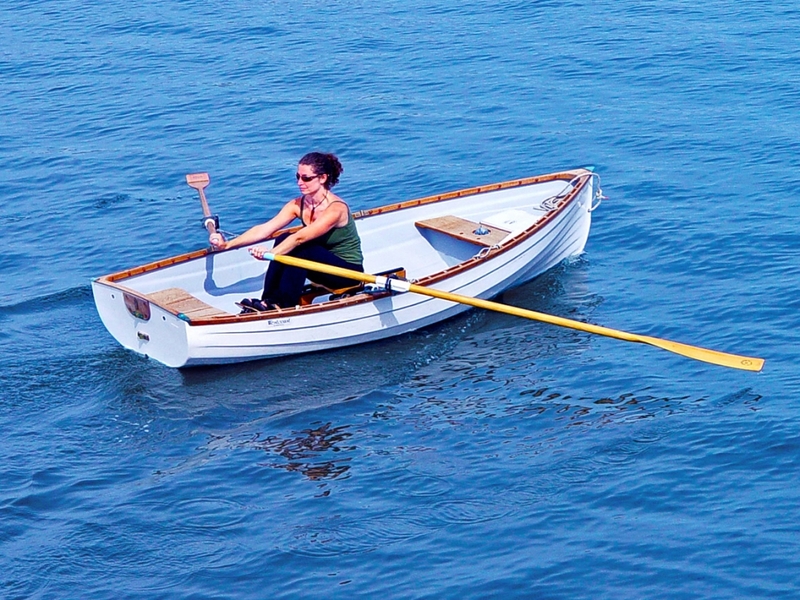 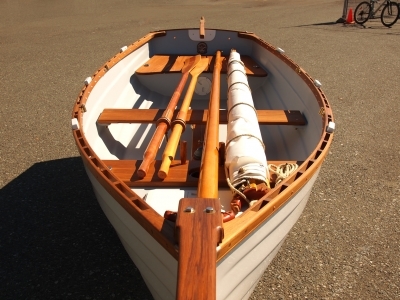 The low centerboard trunk containing the solid cast bronze centerboard enables the boat to be fitted with an optional sliding seat sculling unit, complete with hinged bronze outriggers and 9’6″ open-water sculling oars. 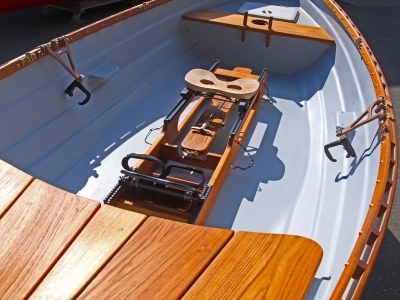 The conversion back to a traditional rowboat or sail boat takes only minutes. 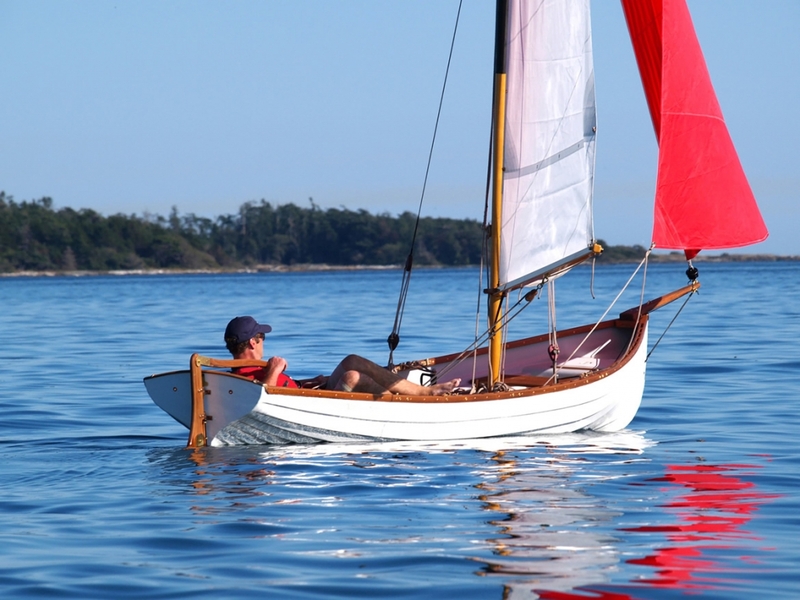 It’s also easily beachable, offering more ways to have fun with it such as exploring estuaries or going on camping expeditions. 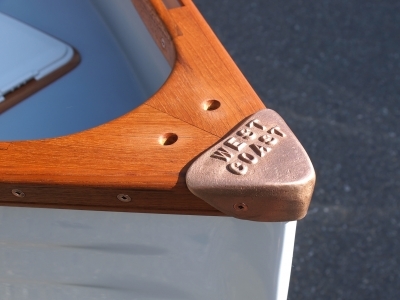 The Westcoast 11.6 sailing rowboat is rigged with an attractive-looking standing lug sail with a 56 square foot area. 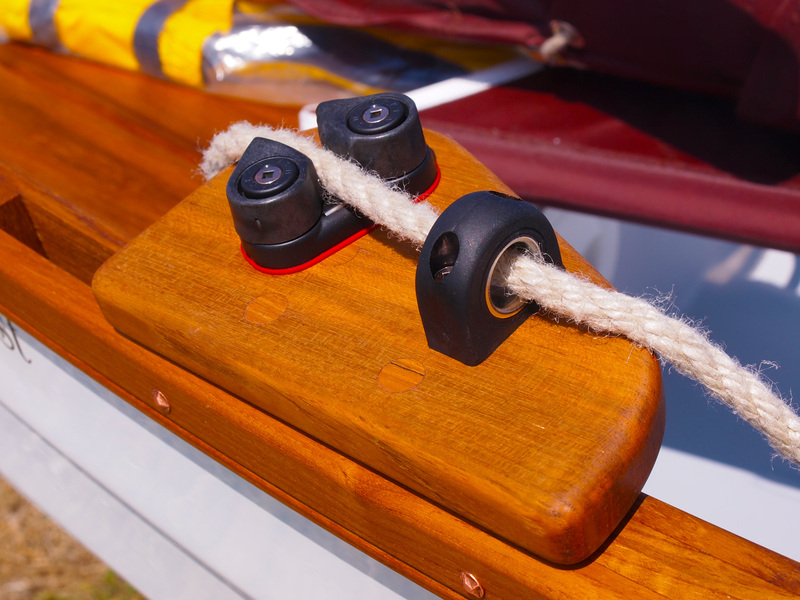 This efficient, easily-handled rig sets up in less than five minutes. 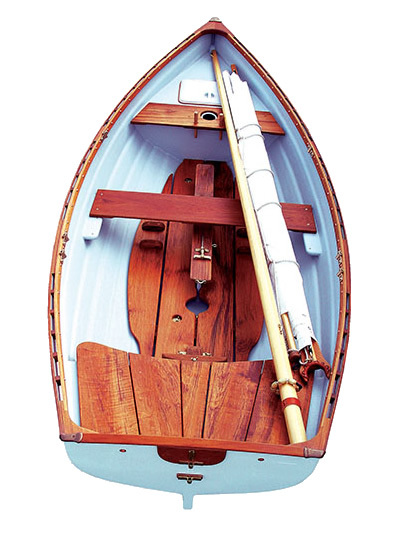 The mast simply lifts out to stow within the row boat. 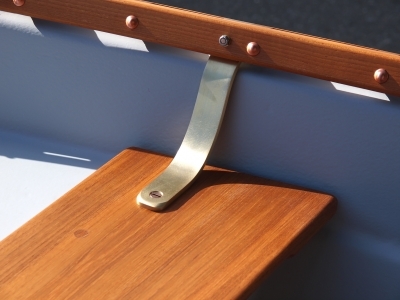 The mainsail on this sail rig can be tacked across in full control easily using only the mainsheet. 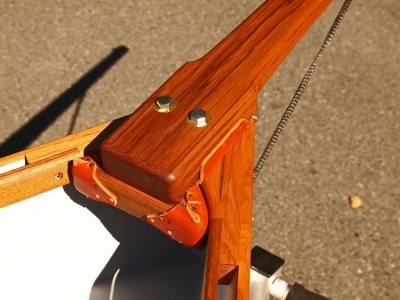 There is a removable bowsprit and jib as well on this model. 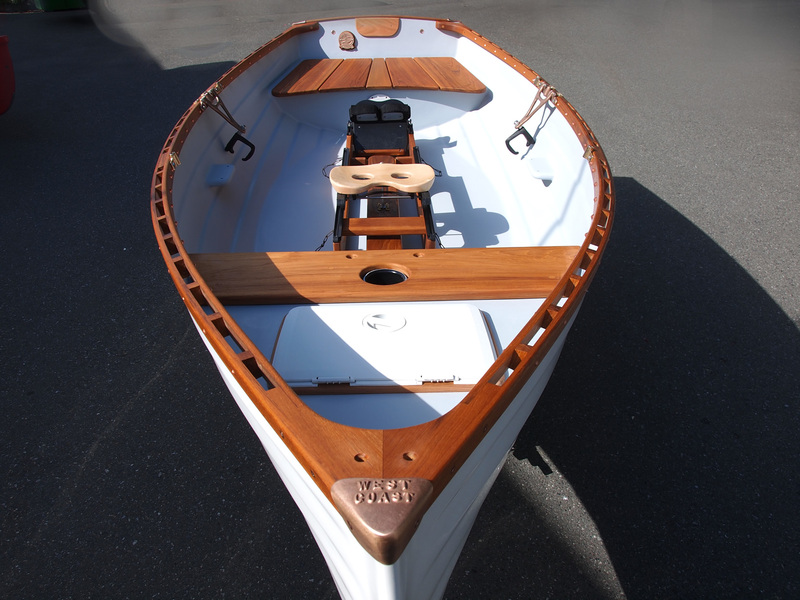 Like all Whitehall Spirit® boats, it features built-in buoyancy forward and aft, and is shown here with the optional removable solid teak floorboard system. An “Ocean Tender Floor” is available as well, which adds substantial extra reserve buoyancy (an important safety feature) to the boat, perfect for when the boat is used as a ship’s tender or shoreboat. 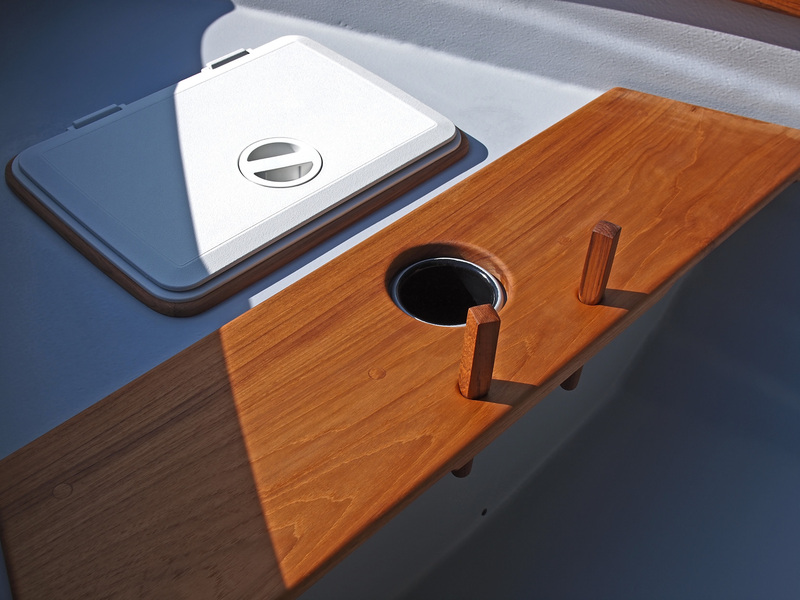 With no one aboard, simply pull the drain plug and the boat self-bails as the buoyant floor is about an inch above the waterline. Complete boat with solid teak woodwork, bronze fittings, lapstrake fiberglass hull, bilge drain/plug, maintenance kit, bronze builder’s plaque, two fixed seat rowing stations, pivoting bronze centerboard, kick-up rudder, Spruce mast, boom and lug, mainsail, jib, sailing gear & How to Row & Sail DVD – ready to row or sail. 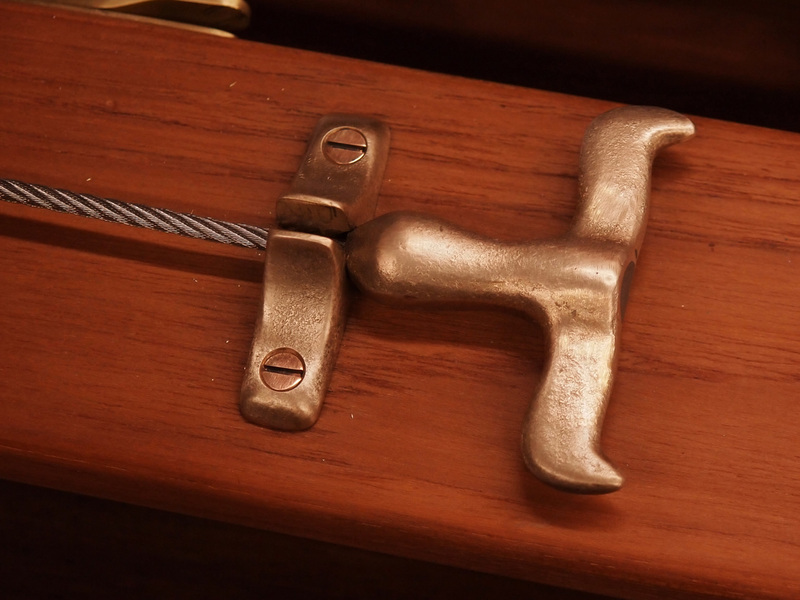 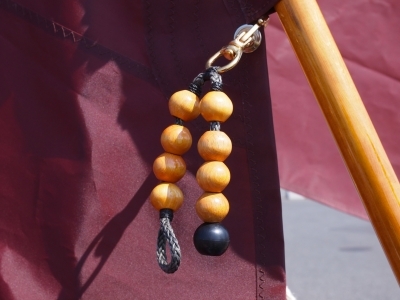 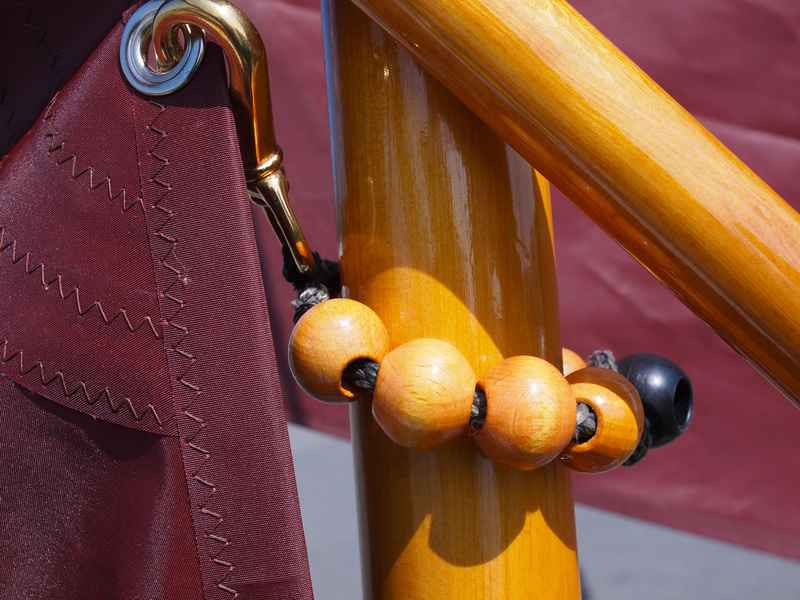 The woodwork is hand-picked solid teak, usually bookmatched. It is hand-rubbed with three coats of our special outdoor oil. 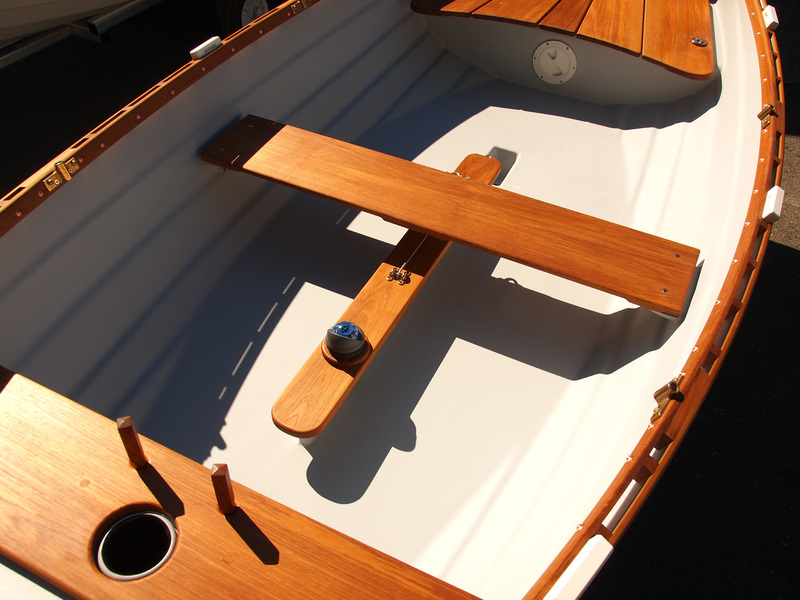 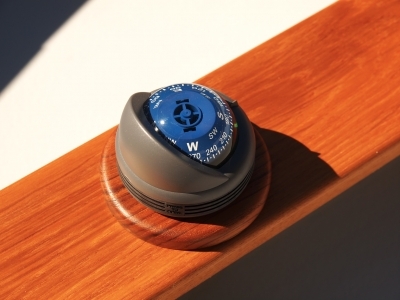 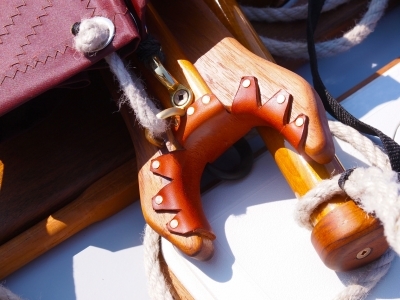 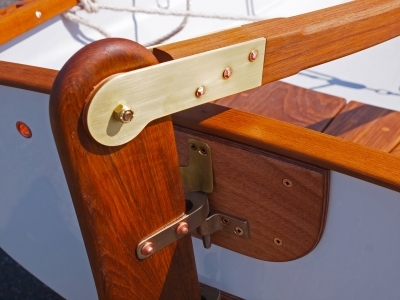 We do not recommend a varnish finish on any of our boats, because any coating system will eventually need to be stripped, which will compromise the woodwork itself – it’s costly and time-consuming. 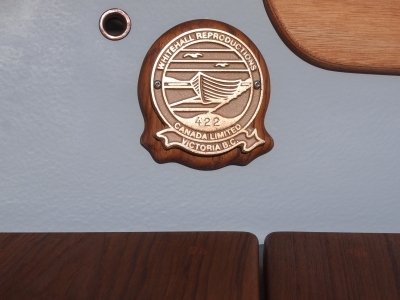 The mast and boom is made from clear, tight-grained Sitka spruce and coated with three coats of marine-quality varnish.